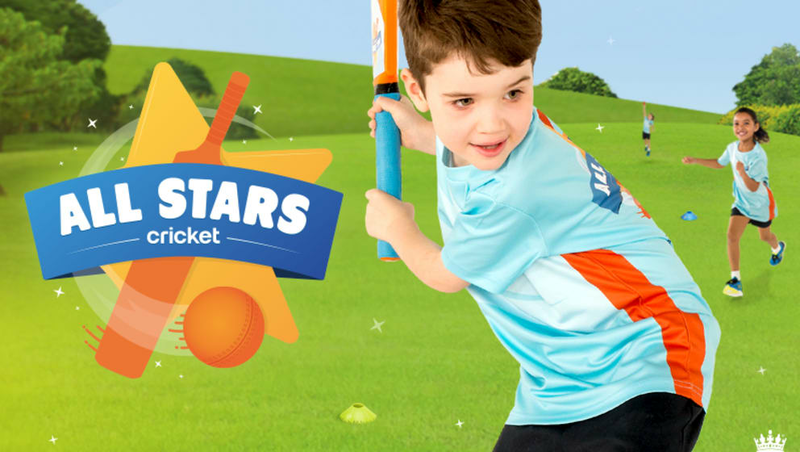 All Stars Cricket (ASC) is a nationwide programme that is designed to inspire five- to eight-year-olds to take up cricket and provide a great first experience of the game. Putting fun right at the centre of this experience, ASC aims to instil children with a lifelong love of our sport. We want today's kids to remain in cricket for the long-term – whether that’s as players, volunteers, officials or spectators. Sessions start from May in 2018, so register early to ensure that you book your place for a summer of Big Moments by visiting allstarscricket.co.uk. Clubs in England and Wales are the very heart of cricket and they are the places, which are tasked with bringing the programme to life. By supporting All Stars, clubs welcome new players, supporters and potential future volunteers. As part of the programme, the ECB is seeking to recruit a number of enthusiastic and dedicated people on a voluntary basis to support the grassroots cricket network and deliver ASC. Registering to become an ASC volunteer is free and comes with a number of benefits, which will allow for a valued voluntary experience, to develop transferable skills and will increase employability. To sign up to be an ASC volunteer, click here. For more information about All Stars Cricket, and becoming an Activator in Nottinghamshire contact gareth.isaac@nottsccc.co.uk/0115 982 3000 (ext 207). To read about his plans over the winter, click here. For full information on the programme head over to allstarscricket.co.uk.